Dublin’s first home-grown taxi app wants the city’s best chat up lines. 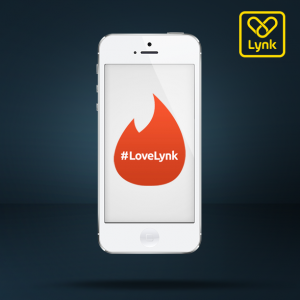 Following its’ successful launch earlier this week Lynk Taxi app has launched a Valentine’s Day themed competition through internet dating app Tinder. Social media users have taken to Tinder this week in order to send in their best chat up lines via a Lynk profile. Winners with the best lines will receive automatic Lynk taxi credit once they download the taxi app. Lynk will be distributing credit vouchers and Lynk themed treats throughout the week across a number of locations including Grand Canal Dock, Clontarf, Heuston, Connolly and Pearse Street DART stations. They will also be at IFSC, The Red Cow, Dundrum, Stephens Green, Tallaght and St James’ LUAS stops. Users will also have the chance to win competitions via social media using the hashtag #LoveLynk and coming just in time for Valentine’s Day!